Holiday House Pet Resort & Training Center has been a trusted name in pet care for over 6 decades in the Doylestown area. The Spa on State is our convenient grooming salon located in the heart of Doylestown. Does your dog need a bath and nail trim and you just don’t have the time or energy? 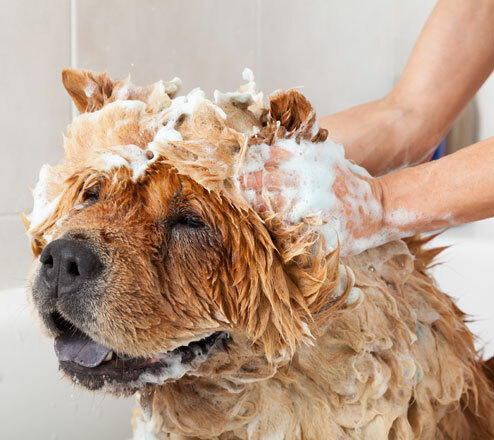 Our state-of-the-art, full-service grooming salon is ready to pamper your pet. Our groomers are experts in recommending the best products and services to ensure healthy skin and a shiny coat. Your pet is guaranteed to look amazing. Our first experience at Spa on State! Outstanding! Our dogs were well taken care of in all ways! 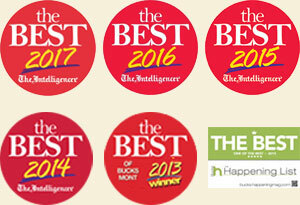 The staff was knowledgeable but was also friendly, helpful and personable! We will be back FOR SURE! Great job, all! Thank you. “I love to find a clean, balanced and natural look for any pet’s job description, whether your dog is a family pet, working dog, or show dog. I believe that we, as human beings, have a responsibility to assure that all beings on earth are treated and cared for with respect, patience and commitment,” said Sines. I have been the proud owner of many dogs that included two standard poodles. I now have a miniature poodle, Bella. 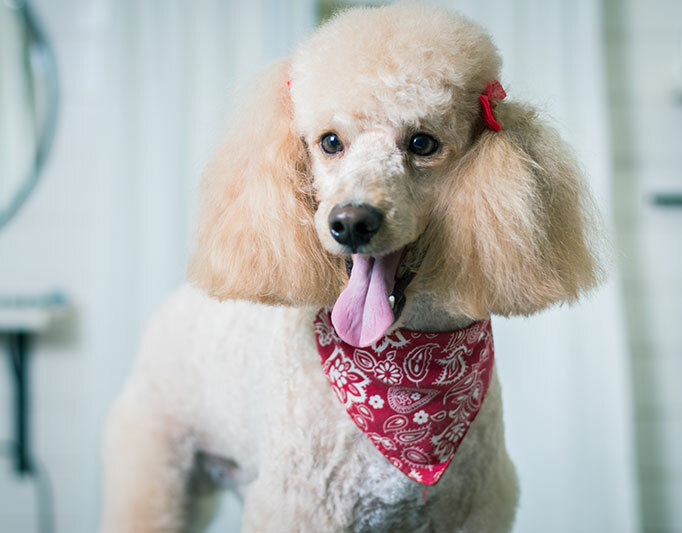 As poodles need to be groomed regularly, I have had much experience with many groomers. Liz, at The Spa on State is unequivocally the best groomer I have ever had. 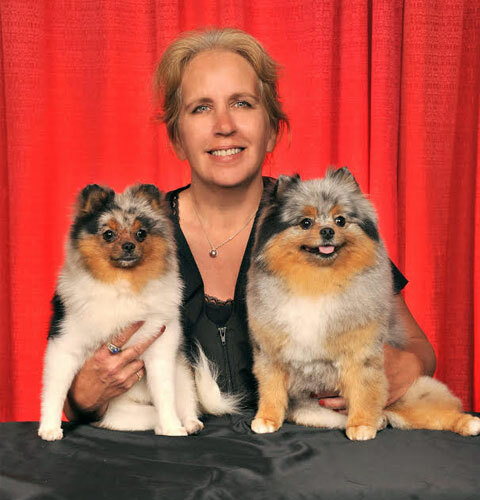 Not only is she skilled at her craft, but the great care and love for the pets she grooms is remarkable…Liz is great! Great service! Great place! It was our first experience with dog grooming since we only just got our puppy and it was great. Our puppy, Pearl, did really well and came out just perfectly, bows and all. Thanks so much! Will definitely be back! A premier bathing service designed for dogs that benefit from frequent grooming for optimal skincare. Clients receive pre-scheduled, convenient appointments and a savings over our regular bathing service. YOU tell us when you’d like your monthly appointment to be scheduled and we’ll give you a reminder call before each appointment. 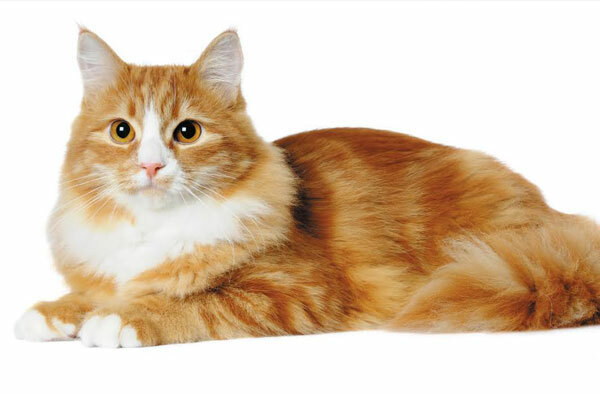 Whether your feline’s exquisite fur coat is high-maintenance, or your cat needs assistance with her grooming routine, The Spa on State offers packages and services CATered to the inner royalty of your precious feline. Cat-Exclusive Mondays with Stephanie: Our upscale spa becomes a tranquil dog-free area where your cat will feel comfortable for a stress-free spa experience. Teeth Brushing – Choose from either Teeth & Toes our perfect combination for a quick pedicure and bright smile or our Dental Care Club for weekly teeth brushing. Regular pet dental care is essential to the overall wellness of your pet. Oral care includes brushing the teeth with a paste that is the specially formulated for pets. The Spa on State does not have a designated parking lot or parking drop off area. Public parking along E. State Street and in the parking area off E. Oakland Street between Donaldson and S. Pine Streets are metered parking. However, there are 15-minute free parking spots along E. State Street. Please refer to the Doylestown Borough Parking Map for the location of handicapped and 15-free parking spots.